The aim of Forest School is to inspire and encourage individuals of any age or ability, to grow in confidence, self-esteem and independence and to develop understanding and for the natural world. All Forest School sessions are geared to the individual and their particular ways of experiencing and dealing with the world, helping to raise self-esteem and encourage self awareness by working on small achievable tasks. 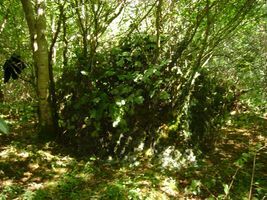 It is a gradual process, achieved by talking small groups of special woodland sites on a regular basis. Sessions are planned to match each group age ability, and activities are adapted to suit changing seasons, weather conditions and individual interests.